they need to get going and get some kids, they don't want to be too old whilst their children are growing up. That sort of comment makes me uncomfortable. There's a chance they may be unable to have children and could be hurting badly observing the fecundity of their contemporaries. General question: Why is Katie called "Krazy"? She looks lovely and she and her husband look happy. I don't think so either-I'll never ever forget the Kate puppy eyes event. I've never said this before, but this is a woman who should always insist on a shoulder strap for her purses. Why she holds her handbag like a full dog poo bag I have no idea. It's beyond peculiar but it's pretty funny! She's gripping it with a claw hand on one side and gently cupping it on the other....what even... LOL! Well, we are talking royalty here, right? In royal circles, women's (especially those who married into a RF) first task is to continue the lineage of succession. As stupid as it is...it is what it is. And when you marry a CP, or hereditary successor, you are very aware that you have to guarantee the line. 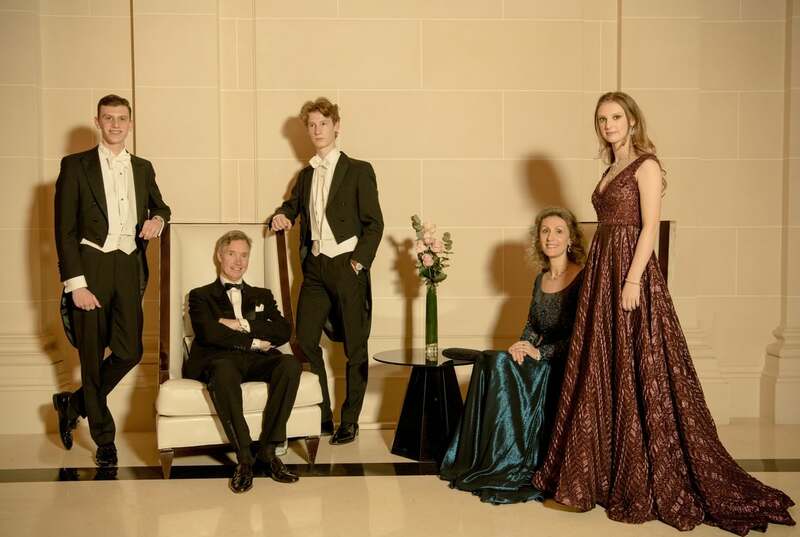 If they cannot have children it should be made known to the Luxembourg people, and Felix's children should be brought up accordingly. The Luxembourgers have a right to know, as they pay the life style of those they call their leading royal family. I find the age comment absolutely fitting, as it is also a medical question....you know very well yourself, that the older a women is the more risks are taken during a pregnancy. They are married for 5 years now...and their is not a direct heir to the throne. Excellent post, Peeds. You've explained it better than I could. EoB-In regard to Katie, without going into too much detail because this topic can and will derail the board (and we are not allowed to have this debate on this board), let's just say that Katie holds some very hard-core, fundamentalist points of view in regard to Catholicism (her family are members of an ultra-extremist Catholic church that disregards all of the modern Catholic teachings and practices and doesn't acknowledge any Pope post-Vatican II), and birth control and abortion. You can find a youtube clip of her telling Fox News that Notre Dame University should be ex-communicated from the Catholic church because they invited President Obama to speak on their campus. She's a total fundy extremist and last time I checked, she wasn't the Pope, so it was pretty ballsy and delusional for her to go on TV spewing this nonsense. In addition to this, and more closely related to her nickname Crazy Katie, she ran a fan club for Empress Zita, Imre's great-grandmother. She ran this fan club on FB, and deliberately set out to meet Imre when he came to Washington DC. When interviewed about this, she told the interviewer that she had no idea Imre was a young man. I might believe this statement if not for the fact that she used internet communications extensively for her job, and held a degree in communications. There's no way in hell she didn't know Imre was a young man. No way. She knew how to Google. She started out as a big fame whore, even contacting media about her honeymoon, but in recent years, she's mellowed a bit. She stopped her public anti-birth control crusade after her wedding and she's matured. They have two very cute little girls. She also always looks very nice, and from the surface, you'd never know she held these views. > Linus wrap dress: when looking at the picture from the side of Linus it looks the wrap underneath the top isn't good. It looks like her right breast tried to escape. > Linus onsie: as one already stated ver psychadelic. IMO a bith 60/70's. Seems like a good idea, bad practice. > Claire's lace dress: it seems it has more material on the bottom than on the top, or did she forget to put on the proper top. Did her breast try to escape as well??? The bride's dress is lovely. Her hair and tiara placement isn't great. But she looks radiant and happy! Alexandra looks elegant and lovely. Stephanie's jumpsuit is crazy. Her blue dress is a sloppy fit. She holds her clutch up like it's Simba in The Lion King. I thought Crazy Katie looked very beautiful and that annoys me because she's an idiot. Indeed the bride looks lovely, beautiful and most important happy. CrazyKatie looks decent and good. What the heck is MC wearing?? Oh my I think I have spotted a lot of candidates for my topic 'Royal men in bright colored pants' (to be found in the Royal Fashion department of RD). In this area the Luxembourg royals and co do not dissapoint often. 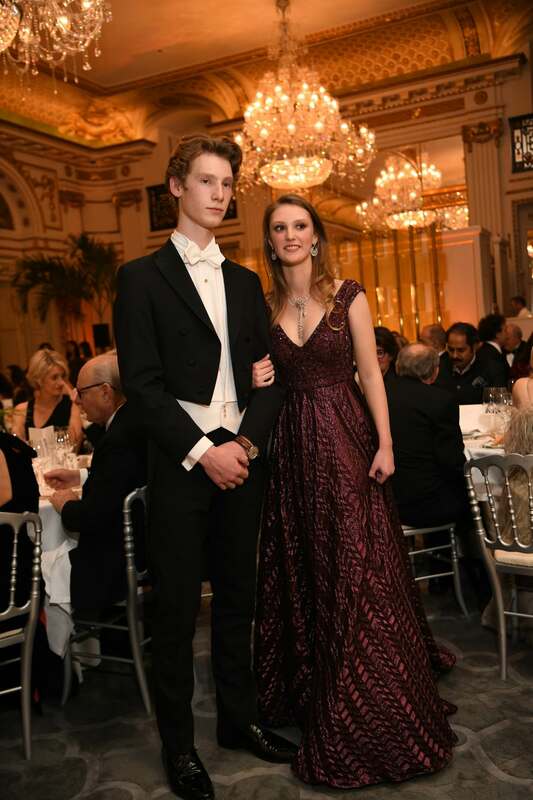 Guillaume and Sybilla's daughter was one of the debutantes this year in Paris, she was escorted by her brother. From really gawky kids they've turned in to rather attractive young adults. I love this ball, dunno why. Charlotte looks beautiful. She's really grown into a pretty young woman. I really like her gown. She looks a lot like her mother. The boys don't look fully formed yet so I won't comment on their looks! Hope Stephanie hasn't lost babies like Fabiola. Not sure what that has to do with this thread. You might want to put this in the Stephanie thread.